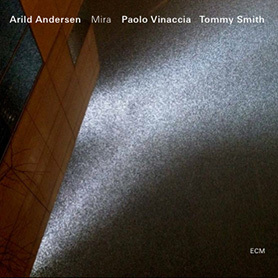 One of the most interesting and unusual jazz trios to have emerged in the last ten years is the international collaboration between Norwegian master bassist Arild Andersen, Scottish saxophonist Tommy Smith and Italian percussionist Paolo Vinaccia. Andersen formed the trio in 2007 with the clear aim of breaking new ground in contemporary jazz and their impact was immediate. Their group’s initial live performances were noted for their astonishing power, precision and dynamism. Much of that energy was captured on the Live at Bellville CD, released in 2008 on ECM to widespread critical acclaim. Additionally in that same year, Andersen was awarded the prestigious Grand Prix du Musicien Européen de l’Académie du Jazz in France for this recording. Since then, Andersen, Smith and Vinaccia have toured regularly and consolidated their worldwide reputation as a compelling live act. The trio have travelled widely and won the appreciation of discerning jazz audiences as far afield the USA, Japan, Scandinavia, Europe, UK, Nicaragua, Argentina, India, Guatemala, South Korea and Egypt. In 2014, they released Mira, their delightful second recording for ECM. The album attracted universally enthusiastic reviews and became instantly popular with jazz radio broadcasters. Andersen conceived Mira as a Sunday morning album and it’s appeal lies as much in its startling contrast to Live at Bellevilleas its devotion to shimmering melody. THE ARILD ANDERSEN TRIO w/Tommy Smith & Paolo Vinaccia will be touring throughout 2016 with new music that embraces imaginative creativity and contributes to the evolution of stunning, surprising contemporary jazz. (b.1945) ARILD ANDERSEN is a multi award-winning virtuoso jazz bassist and composer, and a legend in international jazz. He first came to prominence in the 1960’s and 70’s as an ECM recording artist with Jan Garbarek, Terje Rydpal and Jon Christensen. During this productive period he also played with noted artists including Don Cherry, Sam Rivers, George Russell, Stan Getz and Sonny Rollins. Andersen’s discography is extensive, he appears as leader on over twenty ECM albums and co-leader or sideman on more than one hundred recordings. His recording career began in 1969 with Jan Garbarek’s Esoteric Circle and he features on five of the first ever releases on ECM. These include his standout solo debut Clouds in My Head (1975) and the memorable A Molde Concert (1981) with Bill Frisell, John Taylor and Alphonse Mouzon. In 1982 he formed the enduring quintet Masqualero with Jon Christensen, Nils Petter Molvær, Jon Balke and Tore Brunborg. Over a ten-year period, this highly successful group released four albums and won three Norwegian Grammy Awards. 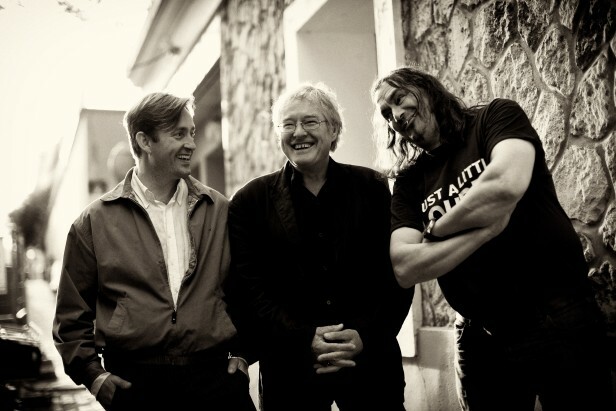 During the 1990’s and beyond, Arild Andersen became a pivotal figure in a movement that unified Norwegian traditional folk melody with improvised music. Later, in 2005, Andersen was appointed Artist in Residence at the respected Molde Jazz Festival. Over the years, he has worked with people like Paul Bley, Paul Motian, John Scofield, Pat Metheny and John Abercrombie and many others. In 2012, he featured on the CD Celebration, an ECM-tinted set recorded with The Scottish National Jazz Orchestra. (b.1967) TOMMY SMITH is one of the finest saxophonists of his generation and founder/director of the respected Scottish National Jazz Orchestra (SNJO). He is an international recording artist, a composer and arranger of extraordinary ambition, and a leading jazz educator. Smith has also worked with a multitude of much-admired jazz figures on numerous collaborations. They include Gary Burton, Chick Corea, Jack DeJohnette, Kenny Barron, John Scofield, Jaco Pastorius and Trilok Gurtu to name just a few. His tenure with the SNJO has seen critically acclaimed performances and recordings of programmed and commissioned works including hugely popular treatments of Ellington, Gershwin, Weather Report and Miles Davis. Tommy Smith is Head of Jazz at the Royal Conservatoire of Scotland. He also holds three honorary doctorates from Heriot-Watt, Glasgow Caledonian & Edinburgh Universities and a Professorship from the RCS. His album Karma won him his seventh Scottish Jazz Award for album of the year in 2012. (b.1954) PAOLA VINACCIA is an Italian drummer, percussionist and composer who has worked with Arild Andersen for many years on a wide range of projects. He has lived in Norway since 1979 where he has been extremely active within the domestic jazz community. He has also worked extensively throughout the wider European jazz scene in a variety of partnerships and musical alliances. He is particularly in demand as a pivotal improviser and a profoundly original percussionist. His career as sideman involves far too many individuals to name here, but they include exceptional work with Nils Petter Molvær, Ketil Bjørnstad, Bugge Wesseltoft, Bendik Hofseth, Mike Mainieri and many others. In 2006 he was commissioned by Canal Street Jazz Festival to produce the original work Landkjenning with Terje Rypdal. Paolo Vinaccia’s recorded output is remarkable. It is to be found largely on defining contributions to countless albums, sessions and record dates, ostensibly led by others. He can be heard on over one hundred recordings that range from jazz and world music to rock and pop. This remarkable discography constitutes an enviable body of work that carries the indefinable stamp of Vinaccia’s extraordinary ingenuity. In 2010, he underscored his reputation as a musician who makes the difference by releasing the six-disc retrospective box set Very Much Alive featuring, among dozens of others, Terje Rypdal, Palle Mikkelborg and Ståle Storløkken.